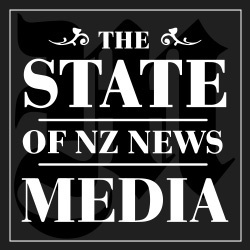 Over the next two months Scoop.co.nz will be publishing a series of reflections on current the state of the news media in New Zealand. The series kicked off with an article from Scoop Editor Alastair Thompson starting at the beginning of modern journalism and concluding with five starting points for the conversation, plus a suggestion about a place to start looking for a solution. Next up was Alison McCulloch with surveys her favourite critics of the News Media, and concludes it's time to give up on the corporate media. We would be very interested to receive submissions on the subject from anyone who has a useful perspective to add to the conversation. Please send your submissions to editor@scoop.co.nz.